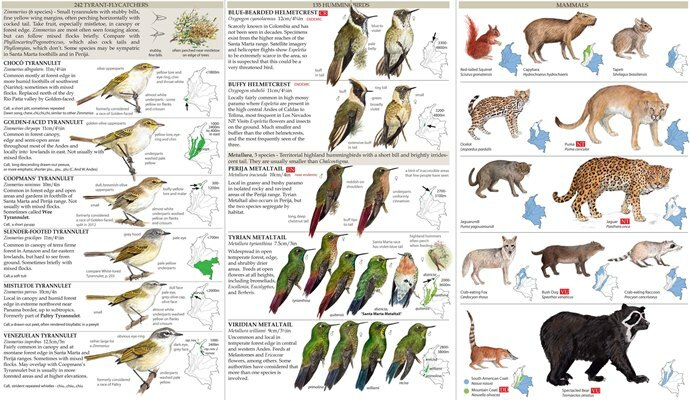 Description: 4500 color illustrations, over 3500 new illustrations; almost 2000 color range maps; new mammal identification section with 60 common species. 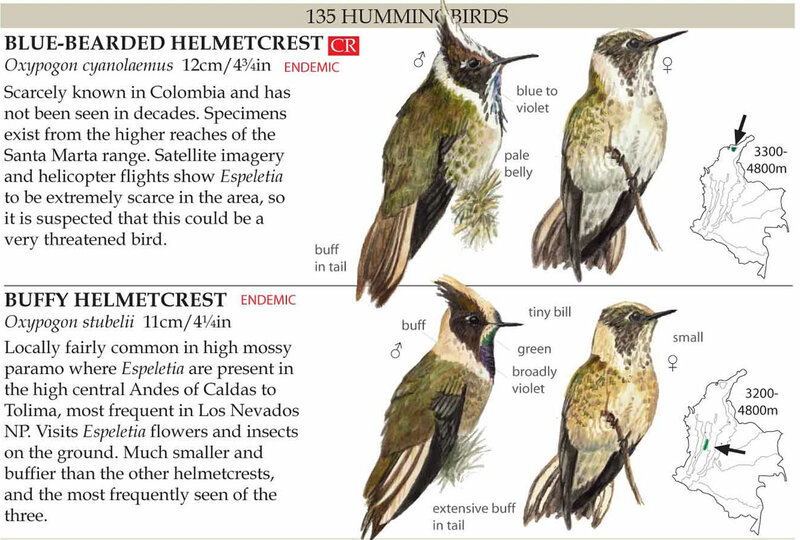 In 2013 Colombia became the first country to record a landmark 1900 species of birds, almost 20% of the world’s total. The figure continues to increase every year. 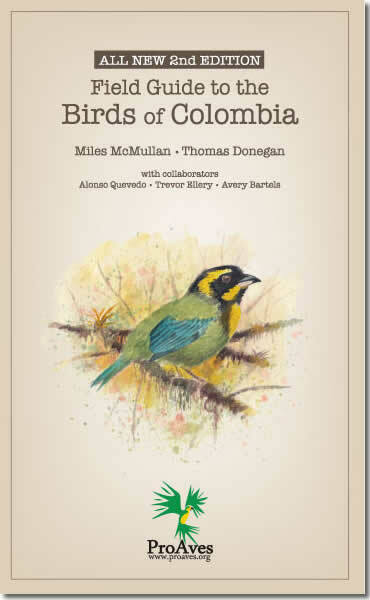 All proceeds (excluding mailing) from the sale of this publication will be donated to the vital conservation work of ProAves protecting birds and biodiversity across Colombia.